At 14, she was the face of one of designer label Miu Miu’s campaign. The ad, with Steinfeld posing on a train track, was banned in the UK by the Advertising Standards Authority for suggesting youth suicide. Yikes. She played The Trinity in Taylor Swift’s “Bad Blood” music video. Her character was actually a set of identical triplets. She’s credited on IMDB for the role. Her favorite new movie is Straight Outta Compton. “I really didn’t have any expectations walking in, because I wasn’t aware of how powerful it was, but I really, really loved that movie,” Steinfeld said. She only likes cheese, meat and bun on her burger. And sometimes avocado, if the place has it. Otherwise, she likes it plain. She was nominated for an Oscar when she was 15. In 2011, Steinfeld was up for Best Performance by an Actress in a Supporting Role for True Grit but lost to Melissa Leo. Welcome to HaileeSteinfeld.us, your latest online daily source dedicated to the gorgeous acctress and singer Hailee Steinfeld. 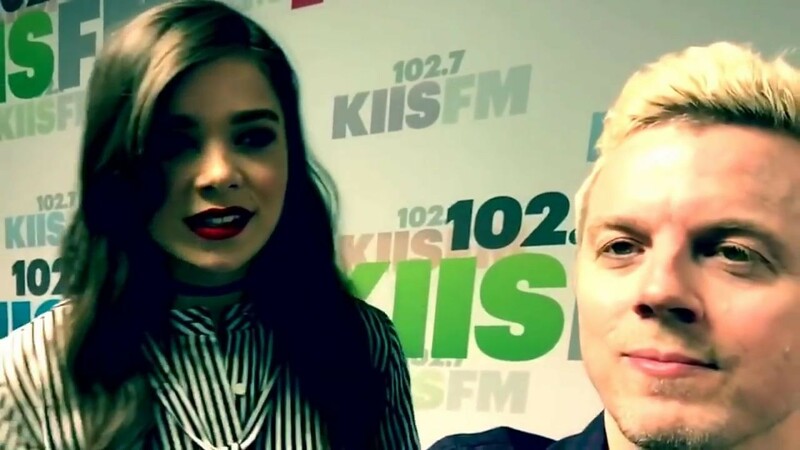 Over here, you’ll find all the latest Hailee Steinfeld’s news, photos, videos and more. Thank you for visiting and I hope you come again soon! You can also follow us on our Twitter for more daily updates.